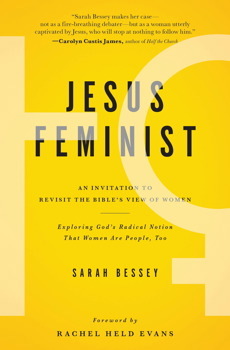 Despite Bessey’s use of the “f-word” that many (erroneously) associate with anger, bitterness, and man-hating, she has a soft voice that is lyrically feminine, and full of love for men and women alike. Bessey is poetic, prophetic, and, at times, downright folksy. But one should not be fooled by her inviting and easy tone. Her words carry force and conviction, and all the more for their accessibility, as readers find themselves nodding in agreement at well told stories calling for love and justice in a hurting world. You can read the rest of the book review at Sojourners by clicking here.